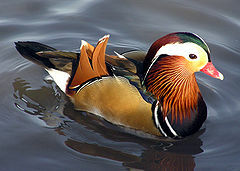 Figure 6.29: At top, the Mandarin Duck, Aix galericulata, is one of many birds in the subclass Neognathae. 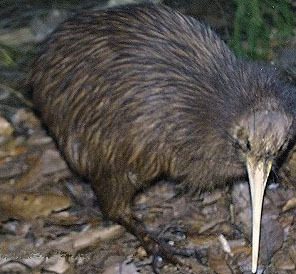 At bottom, the Brown Kiwi, Apteryx australis, is an example of a bird from the subclass Paleognathae. Birds belong to the biological class Aves and live virtually everywhere on Earth. Birds are amniotes, animals whose eggs are protected from drying out (a group that includes the mammals, birds, dinosaurs, and reptiles). There are about 9,000 different species of birds, divided into 24 orders and 146 families. Most birds alive today are Neognathae (a group distinguished by common palate structure). Another much smaller group is the Paleognathae (again grouped by palate structure), which includes the ostrich, kiwi, emu, rhea, and others. Birds are divided into “perching birds” called the passerines (Class Passeriformes) and non-passerines. Roughly half of all birds are grouped into the Class Passeriformes which is sometimes, somewhat inaccurately referred to as the songbirds. In general, the vocalizations of non-perching birds are not considered songs but rather call notes. The largest perchers are the raven, the lyrebird and the birds of paradise. The foot of the passerine is probably its most distinguishing feature – what actually marks it as a “perching bird”. 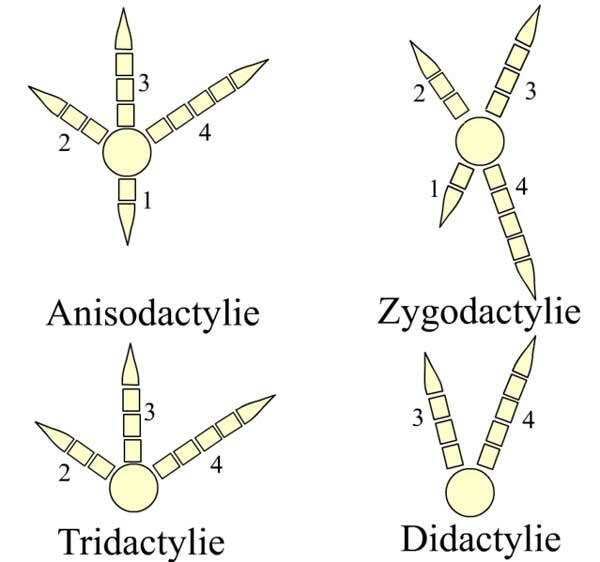 All perchers have three toes directed forward and one toe directed backwards – the anisodactyl arrangement. This arrangement enables the passerines to perch upon vertical surfaces such as trees and cliffs. The toes have no webbing and the hind toe joins the leg at the same level as the front toes. We will learn more about bird feet a bit later in the module. Figure 6.30: The image above illustrates different types of bird feet. Roughly half of all birds are passerines and have anisodactylic feet. Passerines have a special adaptation that enables them to sleep comfortably while perching. The leg muscles automatically tighten if the bird starts to lose hold of the branch on which it is perching. All passerine birds develop 12 tail feathers. Certain species of passerines have stiff tail feathers which help the birds balance themselves when perching. All passerine chicks are born blind, featherless and helpless when hatched from the egg and require a great deal of parental care. Their eggs are often colored, unlike those of non-passerines (which are uniformly cream colored or white – except in the case of ground nesting birds which often lay colored or speckled eggs). So robins and finches and chickadees and sparrows are all passerines; owls and eagles and hummingbirds and ducks and woodpeckers are non-passerines. Of course both classes of birds might actually perch – we commonly see owls and raptors perched on fence posts and tree branches. But they lack the special adaptations unique to the passerines. REVIEW the Table of the Orders and Families of Passerine Birds at earthlife.net to get a sense of the species included in the passerines. Then review the Table of the Orders and Families of Non-Passerine Birds at earthlife.net to get an overview of the remainder of the bird families and orders for the non-passerines.